Match the gummies, save the Moshlings! 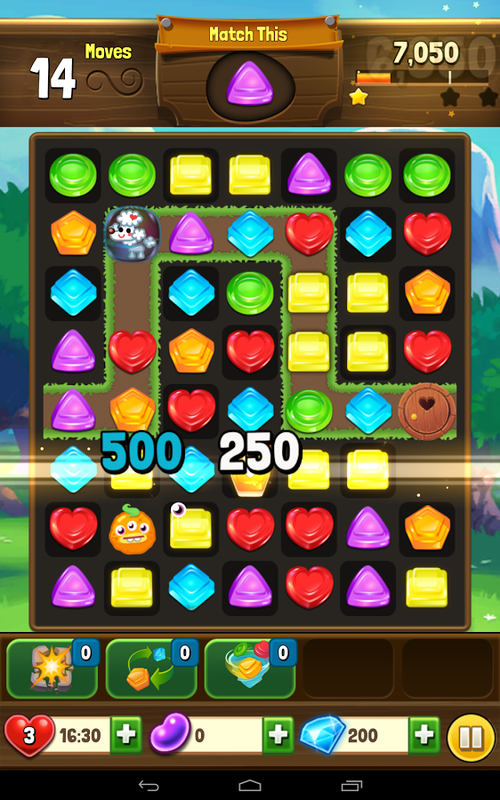 Match your way through unique, colorful levels of puzzle action to rescue and collect super cute Moshlings! ● A new, unique twist on matching games. ● Wide variety of exciting game modes: Rescue, Dig, Clear, Treasure, & more! ● Beautifully-realized world & characters. ● You can play your way through 100s of mind-bendingly moreish match puzzles, with many more on the way! ● Jump in to help your Facebook friends or compete for the top spot in your own Moshling Rescue league! 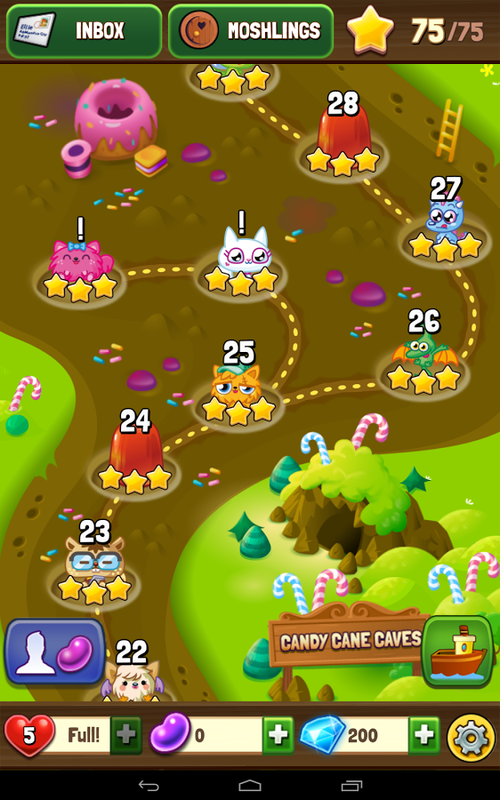 ● Build your collection of Moshlings, and unlock special rewards. 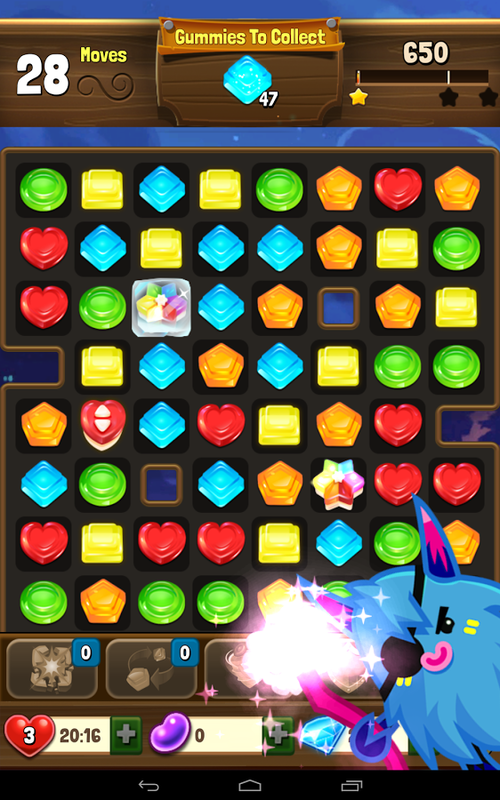 ● Execute perfect combo-matches to create awesome, explosive chain reactions! You can connect with friends and family in this game via Facebook and it is designed for those over 13 years’ old. It is a ‘Free to Play’ game, but you have the option to spend real money for extra content. You can disable in-app purchasing by adjusting your device’s settings. May contain advertising. Moshling and Moshling Rescue ™ and © 2014 Mind Candy Limited.